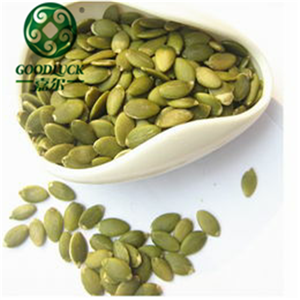 ﻿ Pumpkin Seed Kernels Company Manufacturers, Wholesalers-Dalian GoodLuck Agricultural Products co.,ltd. 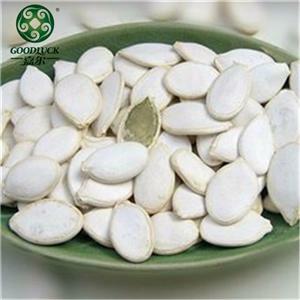 Located in the scenic coastal city, Dalian Goodluck Agricultural Products Co., Ltd is established in 2008. 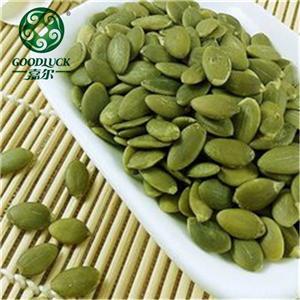 More than 10 years has witnessed the great development and enriching experience of our company in exporting agricultural products, including different kinds of beans, sunflower seeds and pumpkin seeds. Dalian Goodluck is a trading company based our own factory. Four departments cooperate well to provide our best service and high quality product for the clients. They are Sale Department, 24 Hour Service, Warehouse and 5000 square meters factory. Skilful workers with advanced equipments in the factory win the sactification of our customer. Our operation philosophy-- Quality is the life of the enterprise, integrity is the soul of the enterprise has built a great reputation on the international markets.